We offer Bushes - EGB1515-E40 under the Distributor Bearing Wholesalers Inc. Most bearings feature case-carburized components. Rings and rollers are made from case-hardened alloy steel of “Bearing Quality” to provide superior fatigue life and reliability. Precise control of heat treatment, dimensions, and surface finish of the components further contribute to reliable bearing performance. 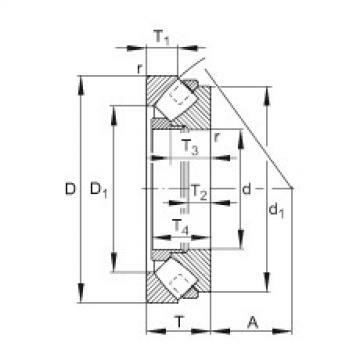 So whether you’re looking for an American-made, case-carburized inch series cylindrical, or a metric series through-hardened variety, Bushes - EGB1515-E40 has you covered with a proper fit to your application. Premium steels and heat treatments are also available for applications requiring extended life and high reliability. AS HEAT TREATMENT Bushes - EGB1515-E40’s Austenite Strengthening process (AS) is a special heat treatment applied to the rolling elements. By chemically altering the surface chemistry of the roller, Bushes - EGB1515-E40 is able to create a thin layer of retained Austenite that results in compressive stresses that increase bearing life. AS Treatment alone results in a material life multiplier of 1.5. When used in conjunction with TMB, that life multiplier increases to 3.6.